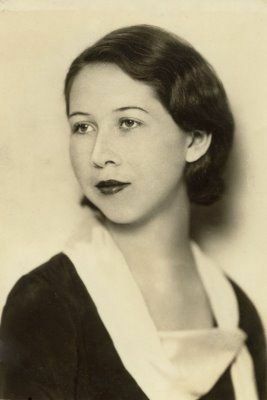 Mafalda Jedynak was born in Chicago on March 15, 1909 to Mario and Luisa Scarsi, both of whom were Italian immigrants. Mafalda says that there were five children in the family, though she thinks there might have been more that died. The only siblings she can remember are Maria, Angelo, Natalia, and Carlo. Mafalda went to school until eighth grade and then got a job doing office work. Most of her life, she worked two jobs and alternated between factory work and cleaning offices at night. When she was seventeen, she met and married Thomas Jedynak, an immigrant from Poland who worked in various factories around the city. The following year she gave birth to their only child, Thomas. Mafalda got pregnant many times throughout her marriage, but miscarried each time. Thomas grew into adulthood, but he was tragically killed in World War II, leaving behind a wife, Cynthia, who was pregnant with their first child, Margaret. After Thomas was killed, however, Cynthia went to live with her parents and had very little to do with Mafalda and Thomas after that. She eventually remarried, and Mafalda always felt bad that they never really got to know their only grandchild. By the time the 1990’s rolled around, Mafalda says her health began to decline, and she decided to start investigating nursing homes. While touring one, she fell and broke her arm and had to be hospitalized. When she was ready to be discharged, she decided to admit herself to the one where she had fallen and broken her arm, as she saw this as a sign from God that this was where she was supposed to go. Despite being somewhat limited by her broken arm, Mafalda seems to be making a smooth transition to her new home. The staff have been able to locate Cynthia and Margaret, who are living in the Chicago suburbs, but neither of them are interested in Mafalda’s care or well-being, saying that they are not responsible for her. Mafalda seems to be trying to make the best of the situation despite occasionally saying, “there’s no one left but me.” She attempts to strike up conversations with other residents and willingly joins in activities. Paulette Lopez was born in Chicago on November 30, 1922 to Italian immigrants, David and Maria Ungaro. 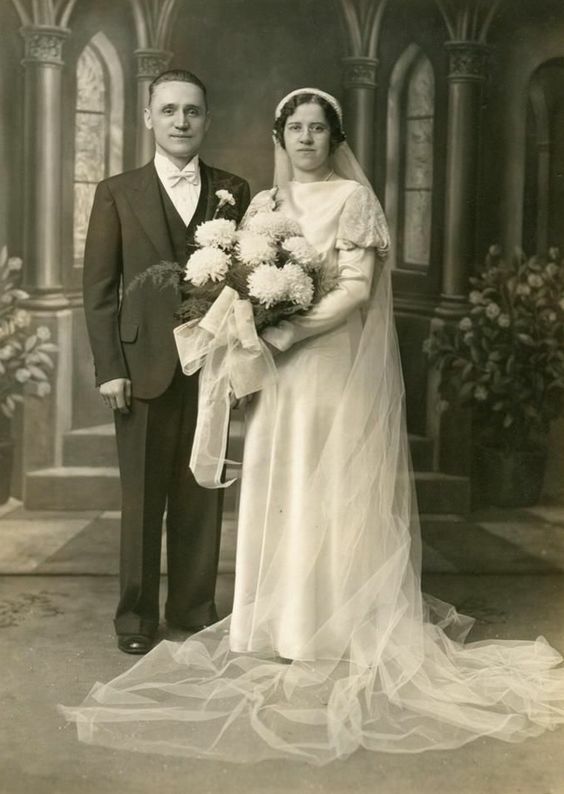 David and Maria met and married in Italy and decided while their family was still young to come to America. They settled in the Chicago, where David found janitorial jobs on and off, but he often went for long periods of time without working. Paulette was the one who worked constantly as a waitress, despite having five children: Eduardo, Paulette, Philip, Ronaldo and David, Jr.
Paulette attended two years of high school in Chicago and then began working in various factories and restaurants all over the city. Through a friend, she was introduced to Alfredo Lopez, whose parents had immigrated from Cuba. Alfredo was six years older than Paulette, but they started dating anyway, and eventually got married when Paulette was twenty-two. Alfredo worked for the railroad, and Paulette says he was a very gentle, good man. 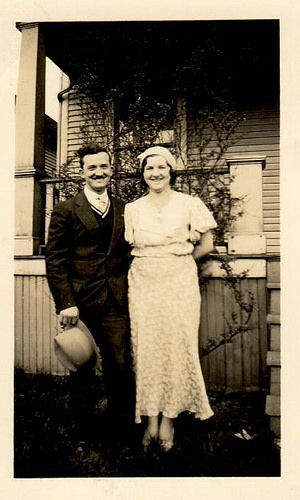 They eventually saved enough to buy their own little house on Barry Avenue and had two children: Cal and Betsy. Paulette says they had a good marriage and that they enjoyed being home together. Paulette did all the housework, and Alfredo did all of the gardening. They were also very active in their parish, St. Ferdinand. Cal and Betsy eventually married and moved out, though they remained close by, so that Paulette and Alfredo have been able to see their five grandchildren grow up. Paulette says that she used to enjoy music and reading but that her main hobby now is smoking. Sadly, Alfredo passed away in March of emphysema, and since that time, Paulette has sunk into a depression. By November, her depression had deepened so much, despite the activity of her children and grandchildren, that she took an overdose of medication, which has been interpreted as a suicide attempt. Upon her discharge, she was taken to a nursing home, though both Cal and Betsy are still very upset by her placement here. They both offered to take her into their homes, but the social service staff convinced them that this would be a better place for Paulette where she could be more social. Paulette seems to be making a relatively smooth transition, though she appears to be nervous much of the time and spends a lot of time in the smoking lounge. She is pleasant and agreeable but says she doesn’t ever think she is going to get used to life without Alfredo. Tecla Bautista was born on February 28, 1911 in Lucca, Italy to Ennio and Vanna Zini. She attended school until eighth grade and then got a job in a button factory. She says she came from a family of ten children, but she cannot remember all of their names. When she was still just a teenager, her parents sent her and her sister, Agostina, to live with an aunt in Chicago. Both Tecla and Agostina found work as maids for rich families on the south side of Chicago, until Tecla met a man by the name of Cornelio Bautista, who was originally from Mexico. Cornelio worked for the postal system and after dating for only a couple of months, they got married. Tecla quit her job as a maid and stayed home to keep house for Cornelio and their two sons, Ernesto and Gabriel. Unfortunately, however, Cornelio died young at age 43 of a heart attack, so Tecla went back to work and got a job at the Moody Bible Institute as a cleaner. She was able to raise her sons, who eventually graduated from high school and found jobs in the city. Ernesto married a young woman by the name of Isabelle Fernandez and had three children. Gabriel remained at home with Tecla, helping her over the years as she grew older. Gabriel says that his mother was always a nervous person and didn’t have many hobbies besides going to church. When she was diagnosed with cancer last year, it was very devastating to the whole family, but particularly to Gabriel. Tecla has undergone some chemotherapy, but she has not reacted well to it. Recently, she decided to stop treatments and accept her terminal prognosis. Her health then declined so much, and she became so frail, that Gabriel could no longer care for her at home. At the advice of a social worker, he recently admitted her to a nursing home. Tecla is aware that doesn’t have much longer to live, but she says she is at peace and ready to die. She spends most of her time sitting in her room or in a corner of the day room waiting for her sons to visit her. Gabriel appears to be more distraught that Tecla and prays with her when he comes to visit each day. Tecla says she draws much strength from this. She is a very gentle, quiet woman, and both sons say that she has a heart of gold.